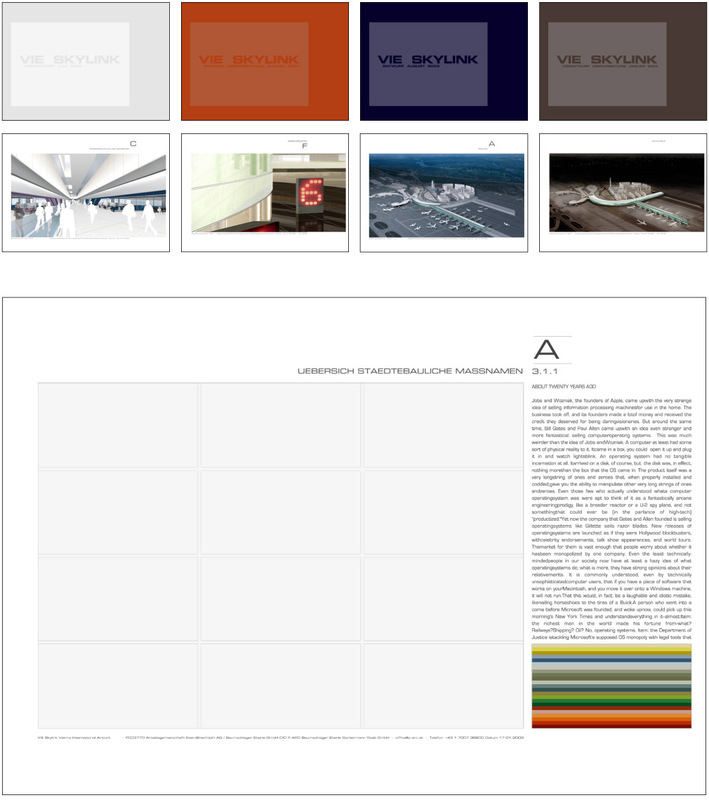 During the working process the architects replaced the .pdf, the .doc and .jpg files on the computer, and at the end the Indesign file was opened, all links regenerated and a printable .pdf could be generated. The phases I to IV. 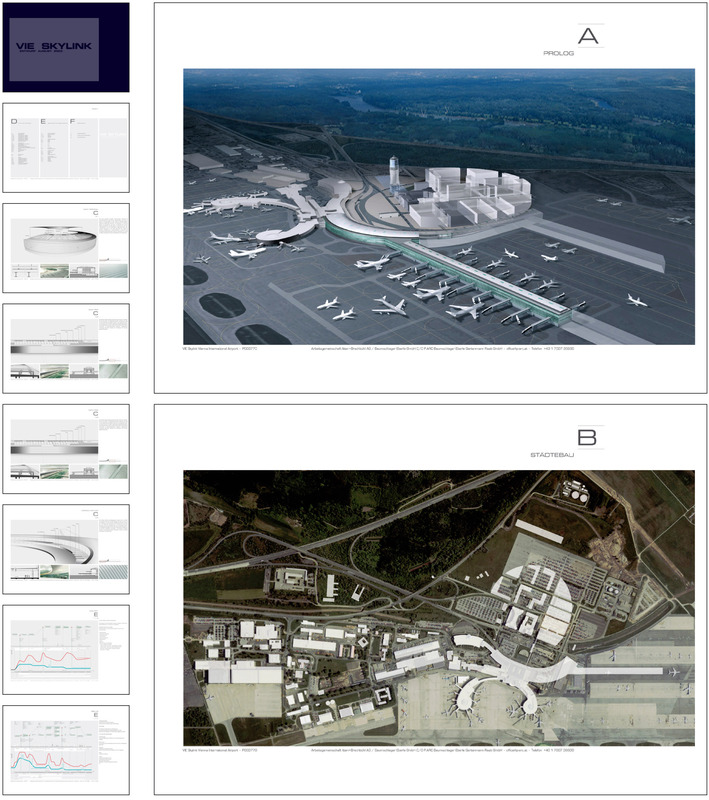 The presentation package includes a book, a cd with all digital data, and a case concluding architecture plans. Each phase gets one colour. The books and cases have a linen cover with a sticker attached in the same colour, with the cut out - logo ‘vie skylink’. The design also extends to invitations or vine labels for the party after the deadline. 6 workshop groups where working on 6 chapters of the publication. 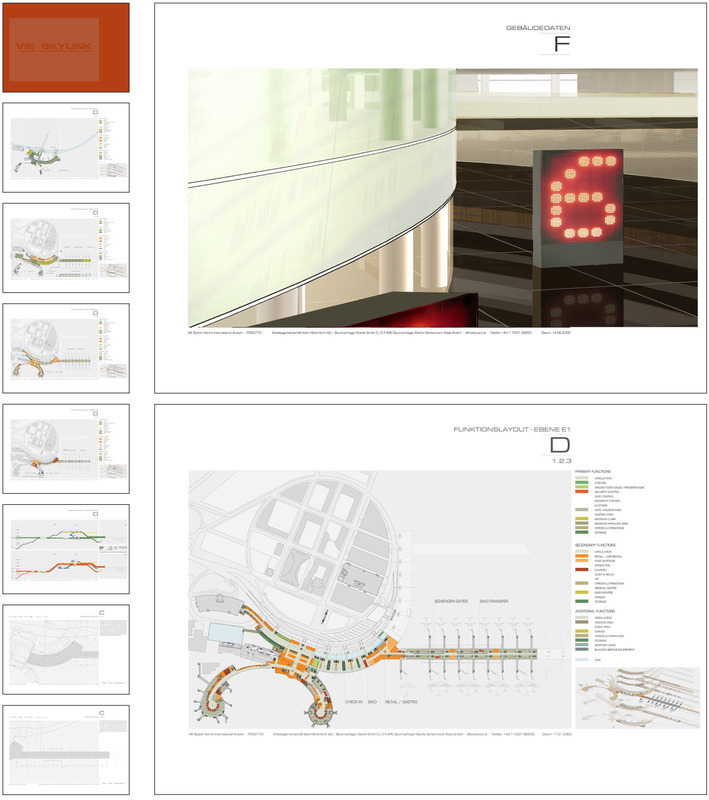 A handbook for all project groups and ongoing reviews granted the coherence of the pages. 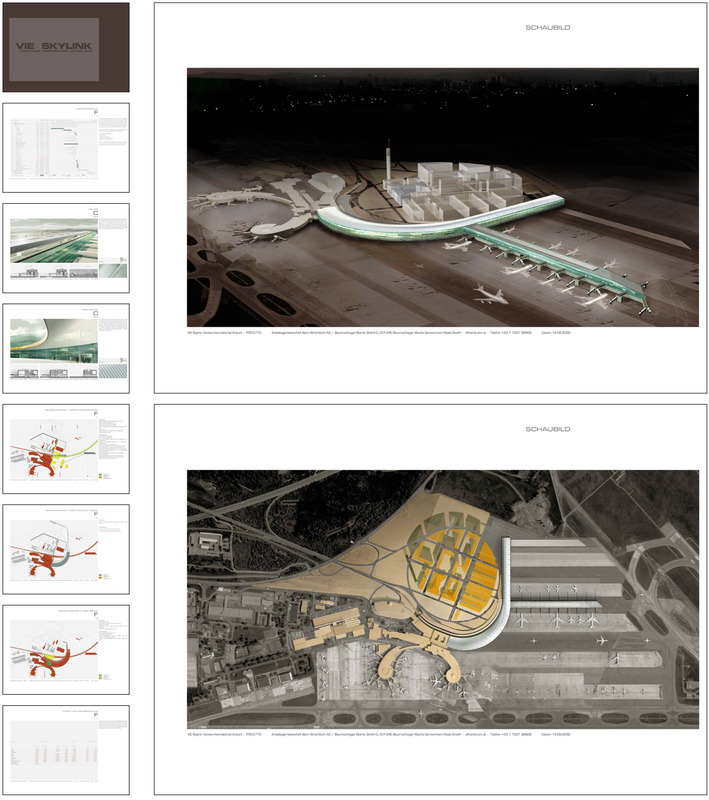 For the client and the architects working on the airport, these reviews where essential to check the state of the project in a compact form. 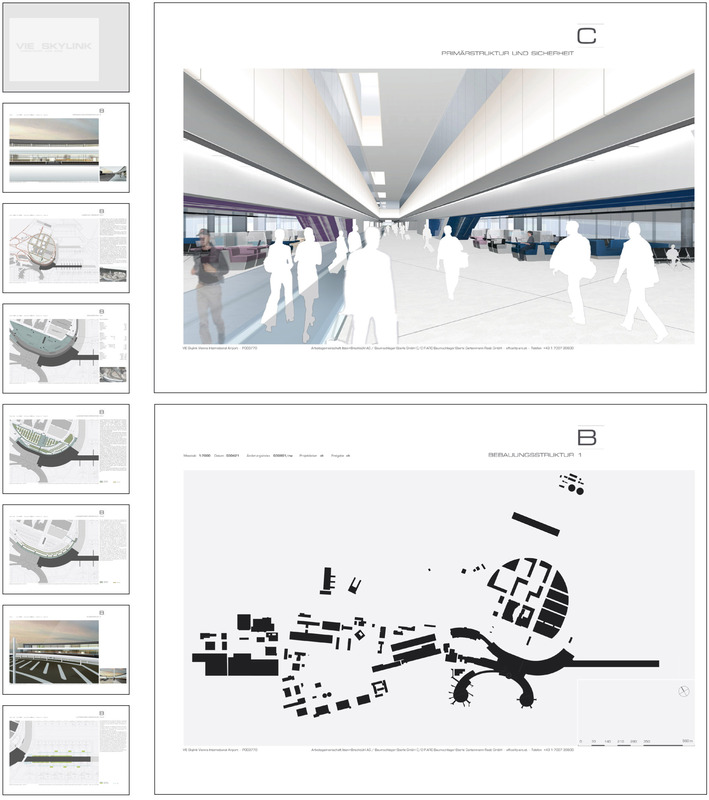 In periodical terms we worked on the books, what was very inspiring, to work with a group of really engaged architects, who where really working day and night to get these publications done.